Some condominiums in Singapore continue to enforce strict rules preventing domestic helpers from using the facilities, such as swimming pools and gymnasiums, as they are meant for homeowners only. PropertyGuru understands that this is a long-standing practice implemented by a number of Management Corporation Strata Titles (MCSTs), also known as condo managing agents, due to complaints arising from residents. Take the case of Mary (not her real name), a Filipino domestic helper who has worked in Singapore for more than 20 years. A few months ago, she began working for an American expat family who live in the ultra-posh Four Seasons Park condominium near Orchard Road. The 43-year-old shared that a staff member at the management office told her that she could not use the condo’s pool as those were the rules in case the facilities were damaged. “The lady I spoke to was nice, and she did say (the practice) was not right or fair, but this is how they do things here,” said Mary. 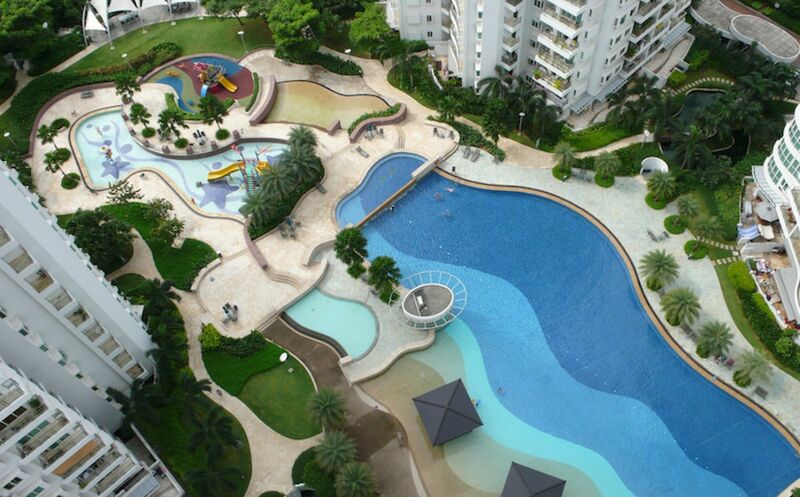 She added that the management would only allow domestic helpers to use the pool if their employers were also present. PropertyGuru reached out to the managing agent of Four Seasons Park, but did not hear back. Not all condominiums in Singapore enforce such restrictions. One condo manager at a project in Woodlands, speaking on condition of anonymity, said they do not stop domestic helpers from using the pool. “Such situations would only occur if the employers did not allow it, or if there were instances of damages due to misuse. Besides that, there are no restrictions,” he said. In Singapore, MCSTs come under the purview of the Building and Construction Authority (BCA). Responding to media queries, a BCA spokesperson said that under the legal framework for the management of strata-titled properties, such as condominiums, “there are no prescribed by-laws that restrict or prohibit certain groups of people from using the common property”. But the spokesperson added that MCSTs can make additional by-laws on top of the prescribed ones with regard to the use of common facilities, which are in the interests of the residents. “All additional by-laws must be approved by way of passing a special resolution in a general meeting,” noted the spokesperson. Meanwhile, condo residents PropertyGuru spoke to had mixed views about the issue. While some feel the rules are unfair and discriminatory, others like Ms Ong, a housewife, support it. She noted that if any of the facilities were damaged, then the cost would be borne by the employers. Safety was another consideration as well. “Recently, I saw a domestic helper using the pool and she had the employer’s child with her. It was scary because the child was left alone while she swam with another helper. “They should know their job scope. If they were to bring the children down for a swim, then they need to watch them and not just enjoy themselves,” said Ong, who lives in a condo in the East. Marketing manager Estelle Teo, a resident of another condo, said she was not aware of such restrictions, which she called “harsh”. In fact, she wouldn’t mind if her domestic helper used the pool or the other facilities, but it would have to be on her off days, said Teo. “Let the residents decide for themselves if they want to allow their helpers to use the facilities. That said, I will not allow her to bring her friends home to use the facilities as it would be difficult to explain to the security guard and neighbours,” she added. Jolovan Wham, a social activist and the Executive Director of the Humanitarian Organisation for Migration Economics (HOME), feels such rules are archaic and should be scrapped. He isn’t surprised that there are some segments of Singapore society who think this is acceptable. “We are a society that does not view domestic helpers as our equals. “I think we need to have more awareness and education about such issues,” he said.